1. Last night we had a picnic-type get together at the boys' school so we could meet other parents and get all the info before school starts next week. We had to play an icebreaker game. I totally hate icebreaker games. But then I saw that it was trivia questions, and I rock at trivia questions, so I went to town on that bad boy and I won the grand prize: chocolates. Boo-yah! 2. We put all the kids in bed 15 minutes ago. They are currently NOT in their beds. Brecken has climbed out of his crib, flipped on his lights, run across the hall and flipped on his brother's lights, and is now dancing on their beds. Jarrod and I are both sitting in the living room pretending not to notice this is happening. Haydn just came up stairs to get some water, noticed what was happening and went in there to wrangle Brecken, turned off the lights, and put him back in bed. Sometimes I really enjoy the fact that he thinks he's the third parent in this family. Maybe he is the third parent in this family. 3. I'm getting pretty tired of pretending to be a dermatologist. Skin issues are super lame. First we had the eight-month bump marathon, which is still going on to some degree, and then we had the two-week mystery rash on Brecken. That has mostly cleared up but now his fingers and toes and feet are cracked and peeling. I don't even know what to say about that. 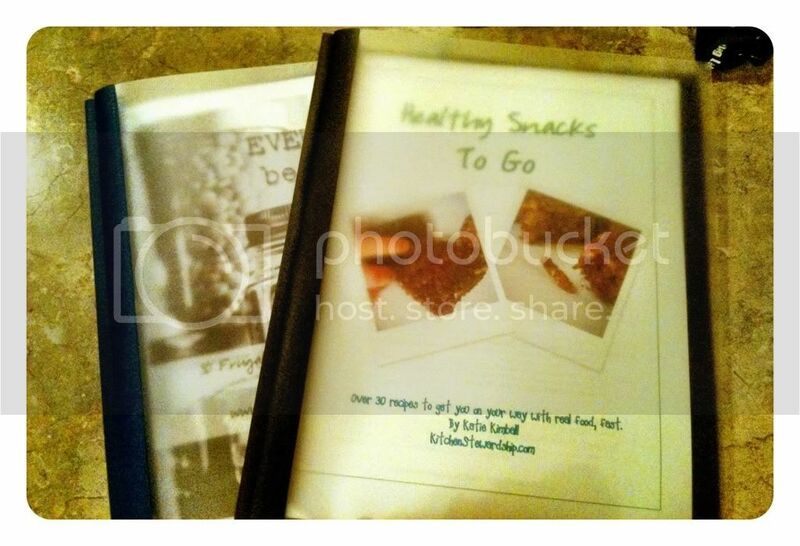 I chose the "Everything Beans" book and "Healthy Snacks to Go" and they are loaded with great recipes and good info. For those who were wondering (hi Amy!) 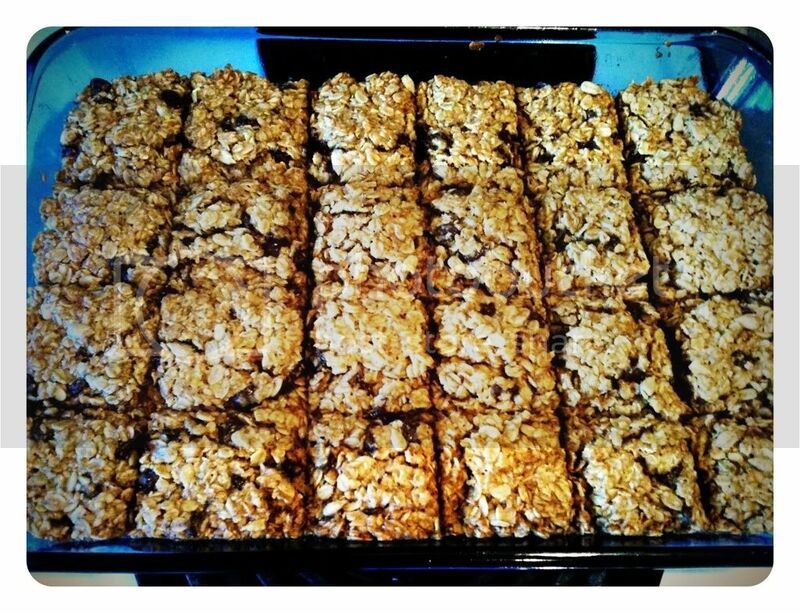 that is where I got the granola bar recipe from yesterday's post too. You don't have to purchase the e-book for the recipe, she has it on her site and I linked to it above; but for this week only, if you subscribe to her newsletter on her blog you will get a FREE e-book all about soaking grains plus a coupon code for 50% off any of her other e-books. I think they are well-worth the price of admission. I'm learning a lot. 5. Mr. B, the two-year-old, is starting to sing real songs with real words and tunes.... really inspiring and meaningful songs, such as "Boom boom, shaka-laka boom boom!" 6. Tonight at the parent's meeting, Rowan brought along a live grasshopper in a plastic tub just in case any of the other kids might like to hold it. I decided I didn't really care if a grasshopper came to the school meeting, as long as it didn't end up in or near my food. Everyone was happy. 7. We have 1/8 of a roll of toilet paper left in the entire house. I'm praying it lasts us 'till tomorrow because I don't really have a backup plan on that one. 8. Brecken is out of bed again and just streaked by. 9. When I went in there to retrieve him I discovered that Rowan was not only playing with his Leapster under the covers, but also his live grasshopper. We got it wrestled back in the tupperware container (by we, I mean Rowan, because I do not touch grasshoppers, ever) but there is some confusion as to exactly how many grasshoppers he had in the tub to start with. There may or may not be another one lurking in his covers somewhere. He claims he just saw one hop out. Maybe this will be a good lesson for him. Do grasshoppers bite? 10. I'm currently reviewing some digital scrapbooking software and I'm going to be hosting a giveaway for it this weekend. Stay tuned and Happy Tuesday~ I have to go put B back in bed now. I totally know what you mean, when you talk about putting the kids to bed, doesn't really equal kids to sleep. Sometimes when my friends call me in the evening, they say...are the kids are asleep...and my usual reply is...well, they are in bed...actually they might be in their bed, and they are SUPPOSED to be asleep. I'm thinking I just need to shorten it to: 'probably not' and leave it at that! Are your mornings as crazy as your bedtimes? My husband is not a morning person and our boys are both loud extroverts that literally hit the ground running - poor guy. Totally wicked awesome 10. Except grasshoppers. I have bad grasshopper memories when I was brutally attacked by a plague of them in Utah. They don't brush off easily either, and I don't like it when insects stick to me. Evil minions. Your little guys just crack me up Kira! We had an incident with a frog in the house years ago. I was so freaked out when it got out of its container. Not pretty. Kira - you never fail to have me cracking up!!! I love that your son has a pet grasshopper that he's taking places. Ethan tried to get a lizard in the car with us the other day. I had to put the breaks on that one - fast!